Welcome to another edition of Mastication Monologues! If this is your first time coming to my food blog, you are in for a treat today, and if it isn’t, then you will know I will be bringing you a fair and accurate assessment of a local eatery. 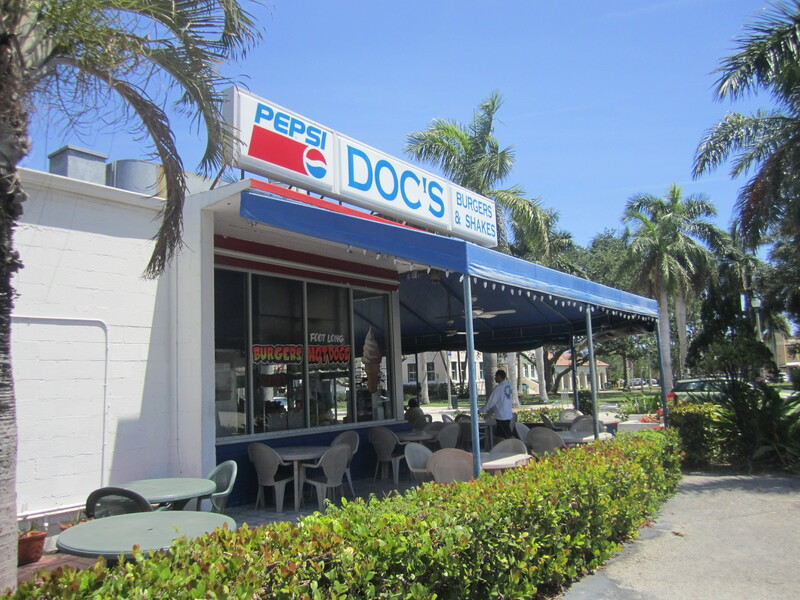 Today is part three in my Florida travel chronicle which will entail the popular, but controversial, Doc’s All American located at 10 N Swinton Ave, Delray Beach 33444, Florida. I woke up to another lovely day as the Sunshine State was living up to its name. The main plan was to meet up with some family friends and see Lion Country Safari. After seeing plenty of African and Asian creatures sunning themselves in the southern heat and finally feeding a giraffe, we decided to grab lunch at Doc’s All American. It’s a relatively simple establishment that is created to evoke a simpler time in America’s history when gas was reasonably priced, cars were still made out of metal, and childhood obesity was virtually unheard of. Although the prices weren’t that low, they focused mainly on American favorites like hot dogs, hamburgers, fries, and shakes. 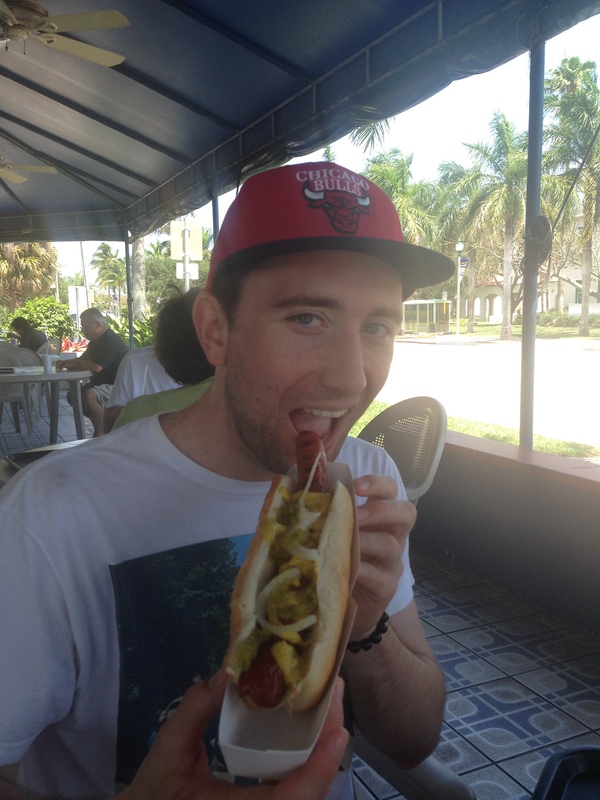 I got a foot long hot dog, a side of onion rings, and a salted caramel shake. Now, if you remember from the first paragraph, I mentioned that there is a bit of controversy surrounding Doc’s. 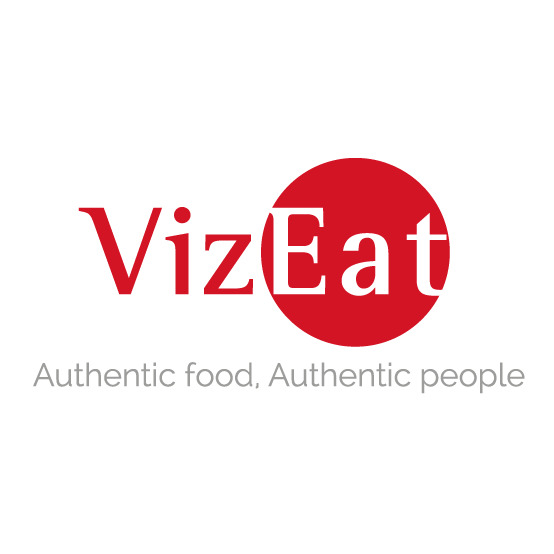 I did some research of what other diners thought of the restaurant, and they mentioned terrible service, low quality food, and a backward’s cash only policy. While I did find the cash-only policy to be a bit of a relic in a now credit driven society, they did have an ATM on the premises to help patrons. As for the other aspects people have complained about, I did not experience either aside from a possibly slow delivery of my family’s beverages. 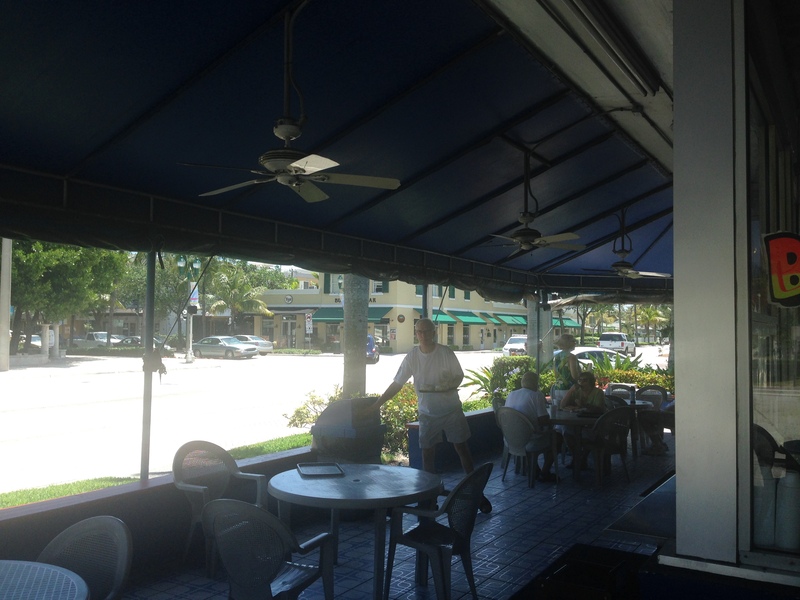 There was only outdoor seating on the wrap-around patio which made me wonder what they did during Florida’s seemingly daily rainstorms? 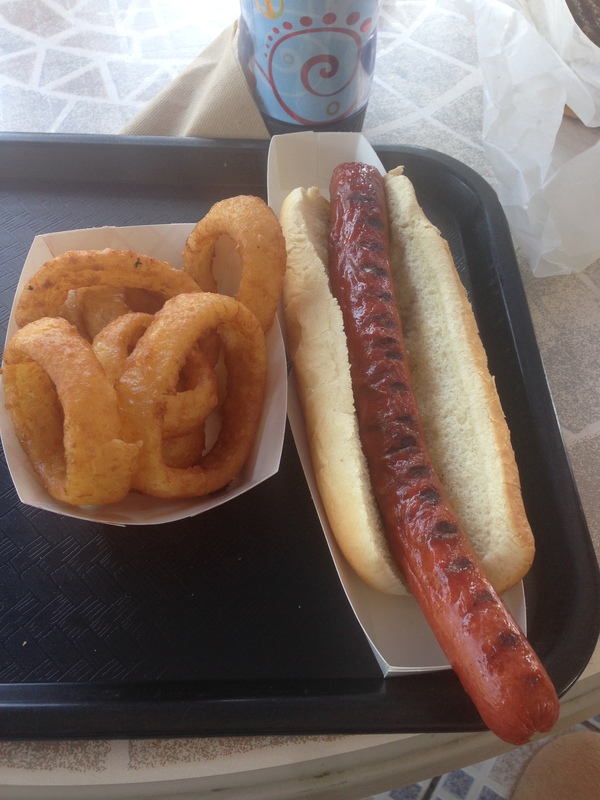 Anyway, my hotdog and onion rings came out with my salted caramel shake soon thereafter, and it all looked great. The only downside was having to apply my own mustard and relish to the tube steak that seemed like it would fit in more in one of Ron Jeremy’s flicks. After a minute or two, I gave it a proper Chicago treatment with a spritz of mustard, a coating of relish, and a couple sprigs of white onion. No ketchup for me since I’m not a heathen. From the first bite to the last, I was pleased with the charred dog that was different from the boiled links I’m used to back in Chicago. As for the onion rings, they were expertly made complete with a light and smooth exterior that was crunchy and sans bread crumbs that other onion ring recipes utilize. I also liked that the onions were securely fastened within their golden shelters, and only slipped out on occasion as I munched through each one. The salted caramel shake was average as they mainly added a hint of caramel flavoring to a vanilla shake, but the salt element was certainly unique as I found they filled the bottom of the cup with peanuts. Definitely never had a shake as nuts as this one. I don’t know if lunchtime is the ideal time to go to Doc’s, but I would recommend it as we did not experience any of the terrible happenings that people have described on the various online review sites like Yelp, Urbanspoon, etc. 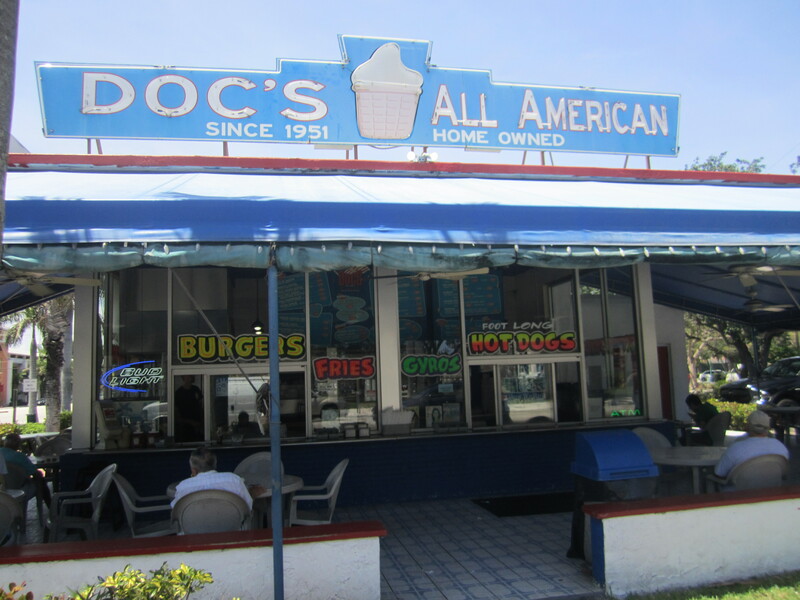 While I’m sure one could find cheaper hot dogs and burgers elsewhere, I’d still recommend trying Doc’s All American. 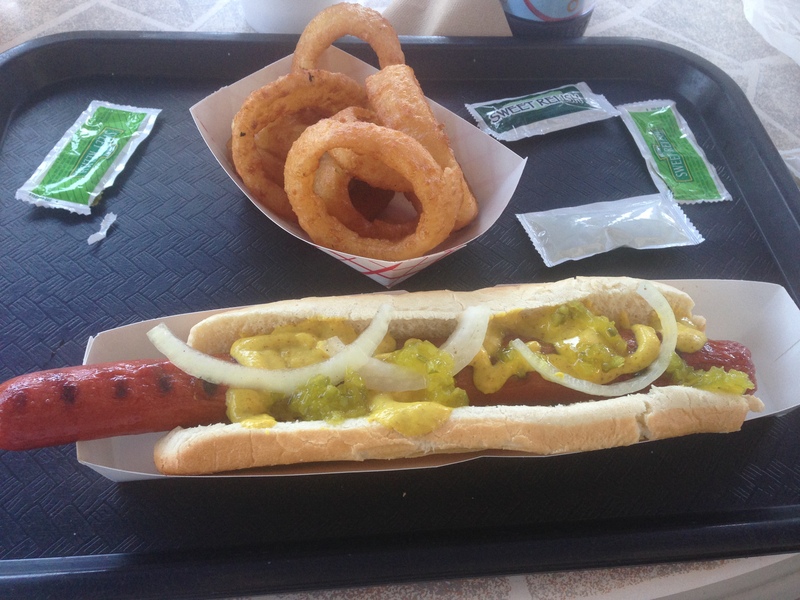 It is an experience to try a local institution that has been open and serving the same quality fare since 1951. Posted in American Cuisine, Hotdogs and tagged caramel, Delray, diner, Florida, hamburger, hot dog, malt, onion, peanut, rings, shake. Bookmark the permalink.